There are many Pet Sitters, Dog Walkers, and Pet Boarders to choose from, however, Bay Area Pet Pals offers all of these services and more! 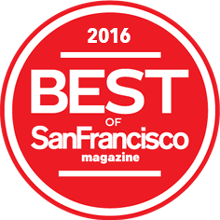 Three words describe Bay Area Pet Pals best: experienced, compassionate, and professional. Lynda Mortensen, the owner of Bay Area Pet Pals, has been a small business owner for many years. Her love of animals has remained with her throughout her childhood and prompted her to learn various pet care techniques and pet first aid. Lynda has opened her heart to adopt many pets over the years and she loves helping other pet owners care for their own pets. She trains each employee to follow specific guidelines. You will never have to worry about re-schedules due to sickness or vacations – there is always someone equally trained to ensure that every appointment and pet visit is covered. Bay Area Pet Pals is a licensed, bonded, and insured company. We are trustworthy and not just in business for money, but for the enjoyment of caring for animals. Every customer is provided with clearly written contracts so that there are no hidden fees or any missing information. Each and every pet is screened to see if there are any special needs or issues that need to be addressed. We keep detailed records to ensure that each pet gets the best care possible. Information such as the animal’s medical condition, medications, habits, fears, likes, dislikes, and their overall routine is very important. Bay Area Pet Pals also maintains a network of emergency vets and stays up to date on pet first aid training for all team members. Choosing a pet sitting service can be difficult. At Bay Area Pet Pals, teamwork and professional service is what you can expect. We do not use independent contractors who perform a job “here and there”. We hire actual employees and thoroughly screen, background check and train them to meet our standards of caring service. Each Pet Pal must meet our requirements of punctuality, respect, and possess a big love for animals. Our employees follow a system of communication that keeps each pet owner updated and no pet left waiting. References are important. 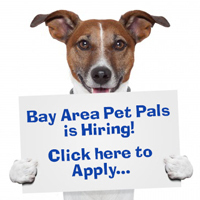 Bay Area Pet Pals can readily offer a list of references to anyone who asks. Past and current customers are the best people to ask about their experience choosing Bay Area Pet Pals. Pet Sitting, Dog Walking, Pet Boarding, and more!